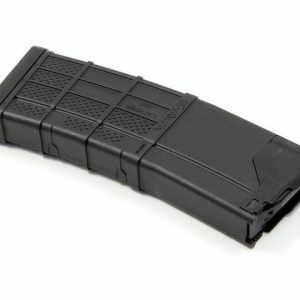 L5 Advanced Warfighter Magazine, 30 Round, Opaque Black. 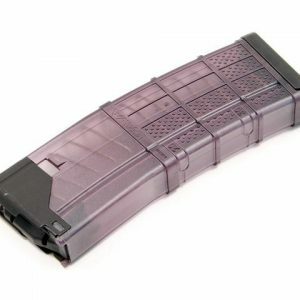 The L5AWM features a one piece hardened steel feed lip, impact resistant translucent polymer body, non-tilt follower, aggressive surface texture, stainless steel spring and slide on bottom. 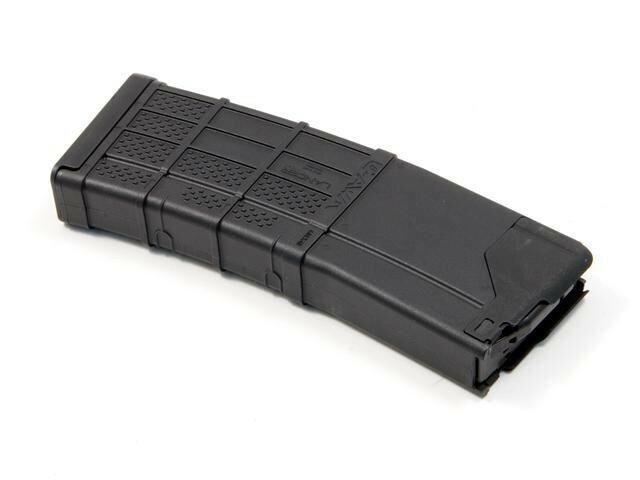 Compatible with: M4 / M16 / AR, HK416, ARX160, SCAR 16, SIG556, ARC, SA80 chambered in 5.56mmX45 / .223rem. Weight 4.4oz Made in the USA Black polymer body that is impact resistant through a wide range of temperatures Body and component materials that are corrosion and chemical resistant Steel feed lips with a corrosion resistant coating, permanently molded into the body Body texture, contour and rubber coated bottom are designed to provide positive gripping and improve retrieval from magazine pouches Body design incorporates a constant radius geometry that facilitates follower/spring travel Same basic design envelop as the USGI aluminum magazine, can be used with existing pouches and carriers Easy to disassemble and maintain Note: The following US States have restrictions on high capacity magazines: California, Hawaii, Maryland, Massachusetts, New York, New Jersey and Washington D.C.